Just a few miles north of Quitaque (KIT uh kwa ), Texas is one of the best and most underutilized state parks in Texas. 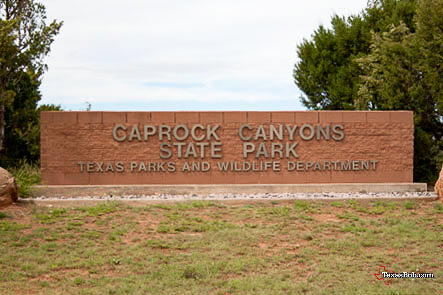 That park is Caprock Canyons State Park & Trailway. 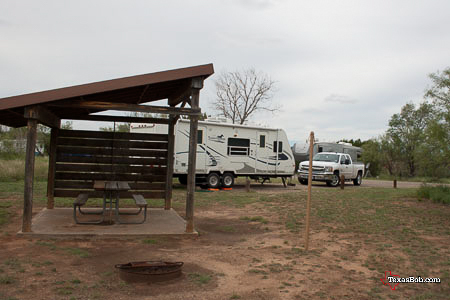 It has a lot of Texas Panhandle wildlife, wide open spaces and great hiking trails. 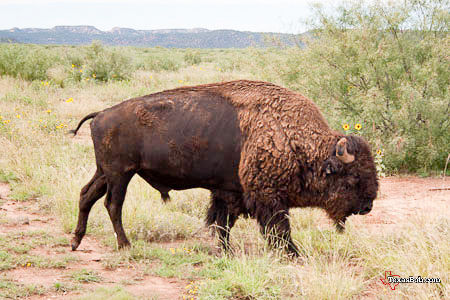 It is also home to the Official Bison Herd of the State of Texas. The bison are descendants of the Charles Goodnight herd. The Goodnight herd was one of five foundation herds that supplied stock to save American bison from extinction and represents the last of the southern plains bison herd. You will not find these bison penned up in a small corral. They roam most of the park in free range as they did for hundreds of years. So you need to watch out for them! You can take their picture but always remain at least 50 yards away from them at all times. The park also has over 90 miles of hiking, mountain bike and equestrian trails. Also in the park is Lake Theo, a small lake, (130 surface acres when full.) and like most panhandle lakes the water level varies with the rain fall available. When I was there (September 2012) it was pretty low but there were still people fishing. Then there is the Trailway. The trailway is adjacent to the main park. 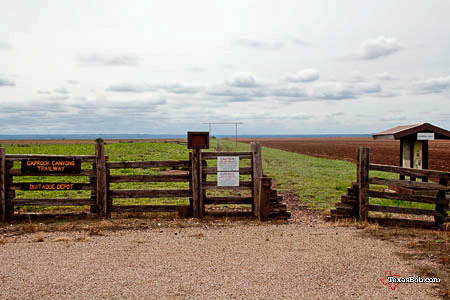 Created from an abandon railroad right of way the 64 mile mountain bike trail runs from Estelline to South Plains, Texas. It has 40 bridges and trestles, and a 700 feet long tunnel. The " Clarity Tunnel " is home to a colony of Mexican free-tailed bats. The sunrise and sunset views across the caprock can be awe inspiring. Every evening find a spot and just soak in the view. are available through Quitaque Riding Stables, (806) 455-1208. Reservations should be made at least one day in advance. Group discount rates available.